Posted: Friday, August 4, 2017. 4:14 pm CST. By BBN Staff: Belizean new-metal band, Verge of Umbra, has ranked in the top ten at the Waken Open Air festival, one of the largest music events in the world. Verge of Umbra represented Belize and all of Central America at the festival, placing 6th of 28 contestants. The festival, now in its 27th year, is being held in WakenVillage, Schleswig-Holstein in northern Germany. It started on August 3 and its finale will be held on August 5 in. The festival frequently attracts crowds in excess of 80,000 people. Verge of Umbra earned the honor of representing the entire region, by winning the Metal Battle 2017, held in Guatemala City earlier this year. They bested bands such as Heresy of Costa Rica, Dreamlore of El Salvador; G.O.D. of Honduras; Kramer of Guatemala; and VoTraster of Panama, to earn their space at Waken. 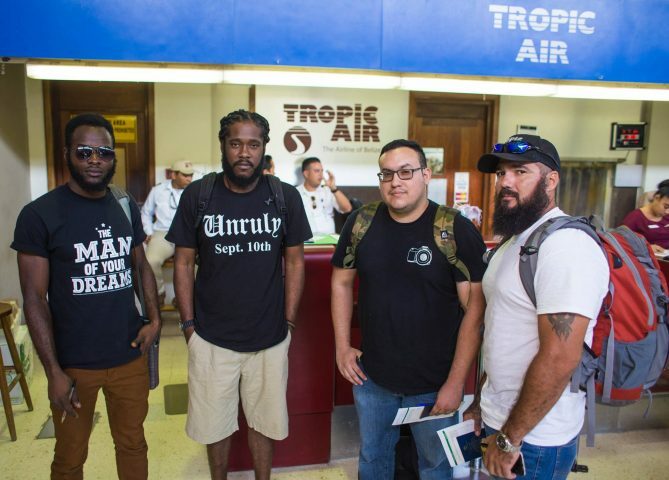 Verge of Umbra consists of: guitarist, Andres Pineda; drummer, Faith Madubuko; bassist, Lowell Gillett; reggae vocalist, Kernelle Parks, and rap vocalist Jermaine Jenkins.